Standard - €35.99 Only 7 left! 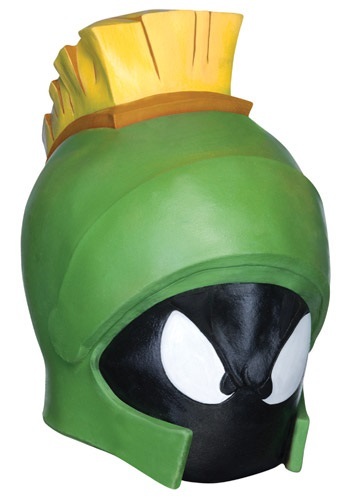 For years Marvin the Martian has been wanting to take over every planet in the galaxy, he even bought a large box of planet claiming flags to do so. But when ever this little alien reaches a planet that he wishes to be his he runs into someone else who wants to stop him. Most recently he got into a fight with Duck Dodgers over planet X. Neither party wanted to give it up so Marvin thought if he can't have it no one should. So good bye planet X and hello new planet to conquer, Earth. Complete your Marvin the Martian costume with just the right mask when you pick up this great accessory. Be sure to also check out our other great Looney Tune costumes and accessories as well.